ES6 modules are automatically strict-mode code, even if you don’t write "use strict"; in them. When you run a module containing an import declaration, the modules it imports are loaded first, then each module body is executed in a depth-first traversal of the dependency graph, avoiding cycles by skipping anything already executed. Git is a decentralized version control system as opposed to a centralized version control system, like TFS, SourceGear Vault, Subversion, Visual Source Safe etc. A centralized version control system, has a single server that contains all the versioned files, including their history, and a number of clients that check out files form that central place. A decentralized version control system (such as Git, Mercurial, Bazaar, Darcs etc. ), mirrors the respository (including all history) to all clients. Every time you commit, or save the state of your project in Git, it basically takes a “picture” (also revered to as a snapshot) of what all your files look like at that moment and stores that snapshot. You can think of this snapshot as a copy of all files in your working folder (that are tracked). Each file is zlib compressed before it is stored as a blob in the .git folder and refered to by a SHA-1 of its content. If a file in a snapshot is not changed, the snapshot will not contain a copy of the file, just a pointer (SHA-1) to the file already in git. Once in a while, git will comporess multiple blobs into a single packfile, to increase compression ratio. 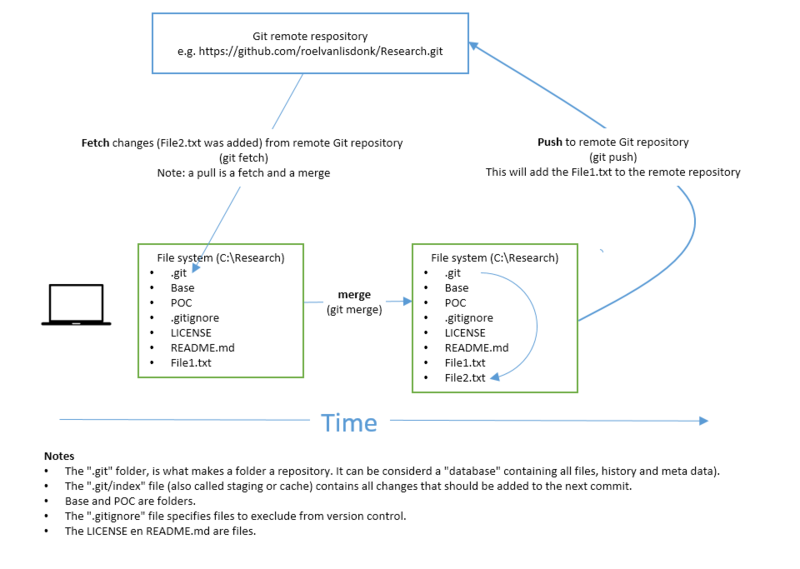 By using these mechanisms Git does not have to store deltas at the file level, to be efficient on storage and fast will be extremely fast, when previous snapshots should be restored. The snapshot will get an identifier associated with it (a SHA-1 of the snapshot content). A SHA-1 is a 40-character checksum string composed of hexadecimal characters (0–9 and a–f) that uniquely indentifies the contents of the snapshot. Now there are serveral ways you can work with Git. 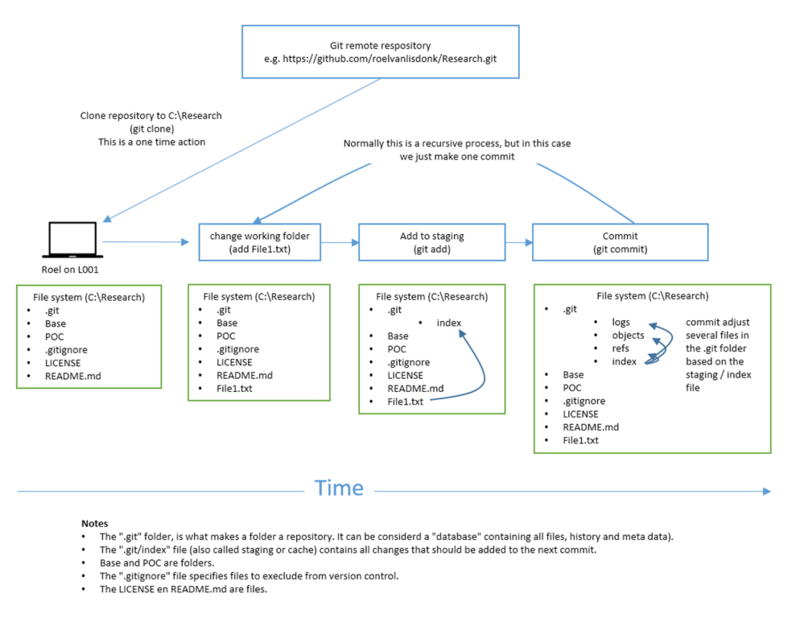 This blog post describes the way, we use Git. The following diagram describes the proces of cloning a remote Git repository and making you first change to it on a locale repository. 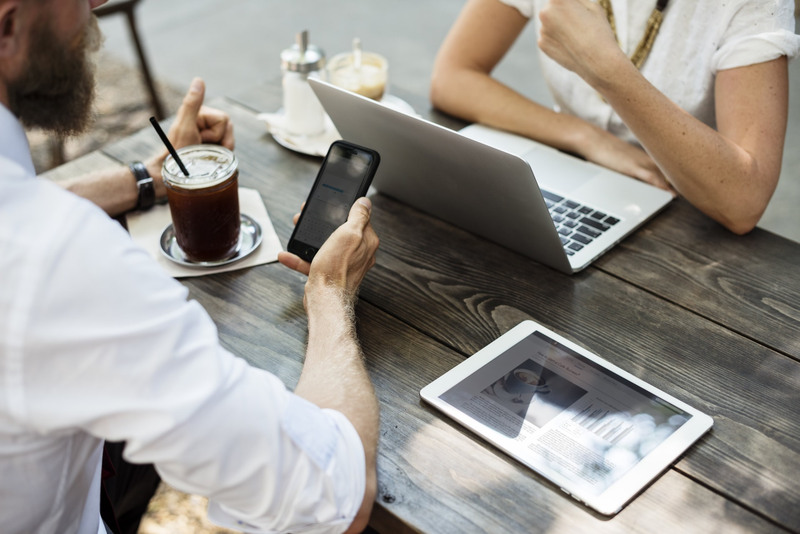 when it is time to deploy the software to the acceptance servers, the code from master is pulled to the acceptance branch and a build of this acceptance branch will be deployed to the accepatance servers. when it is time to deploy the software to the production servers, the code from the acceptance branch is pulled to the production branch and a build of this production branch will be deployed to the production servers. when a bug is found in production, it is fixed on the production branch, then fetched and merged into the acceptance branch and then fetched and merged from the acceptance branch in to the master branch. All development is done in feature branches. Now this is not perfect, but you can add branches for QA, test or pre-prod, at will, but maybe you don’t want a branch for each “software life cylce” step and just want to use branches foreach release, thats all up to you. 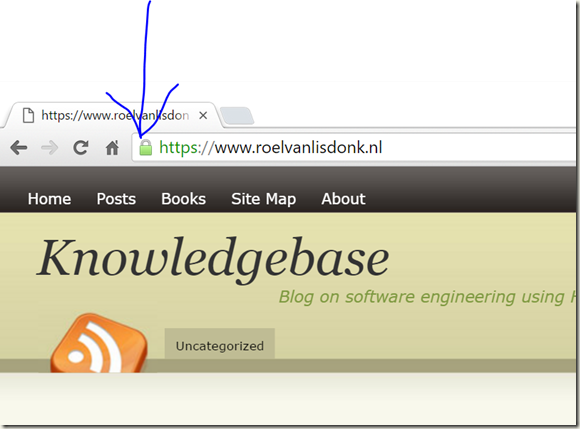 Today I changed my blog to work with HTTPS. 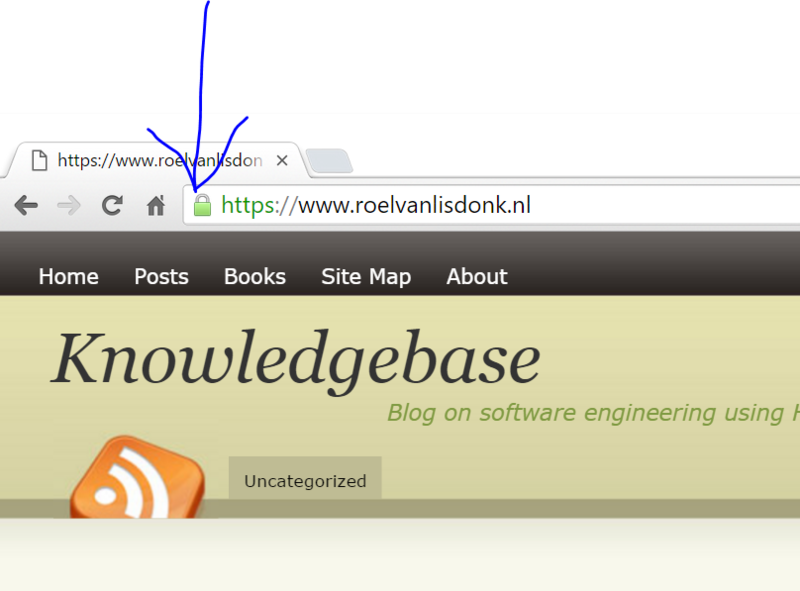 With the emerging HTTP/2 standard and google promoting HTTPS sites, I decided to convert my site from HTTP to HTTPS. Even publishing with Open Live Writer still works! To convert files from a SoureGear Vault Standard v3.1.9 to Git including all history I went on a journey and in this blog post I will describe the journey steps. 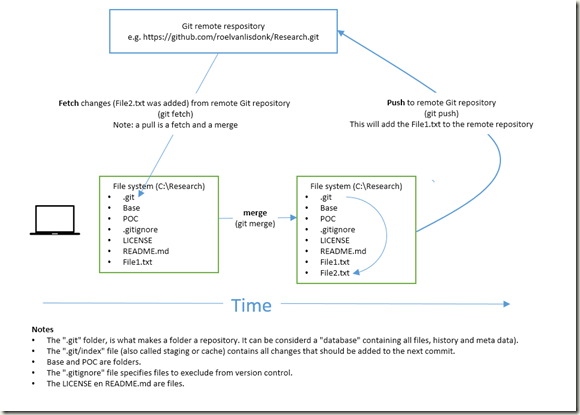 Note: this blog post will probably contain unnecessary steps, but non the less it describes the steps how I successfully converted all files found in a SourceGear Vault Standard v3.1.9 server to Git, including all history. 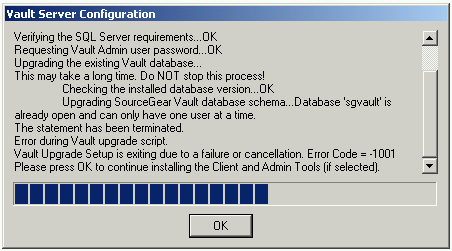 The SourceGear Vault Standard v3.1.9 was installed on a Microsoft Windows 2003 32bit Server. On the server was a Microsoft SQL Server 2005 32 bit installation. During the upgrade I switched to a Windows 10 (64 bit) Hyper-V machine. To prevent “multi user” sql connection problems, make sure you stop the vault service with a iisreset /stop, before installation. All developers should checkin their files on the SourceGear Vault Standard v3.1.9 server. Verify that no files are checked out with the Vault Standard v3.1.9 admin tool. For the conversion, I added the SourceGear Vault Service IIS application pool user, to the local administrator group. 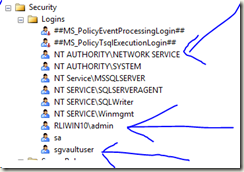 Our Vault Service connects to SQL Server by using windows authentication. I added the sgvaultuser, Network Service and the locale user that was executing the setups to the SQL Server sysadmin group for the conversion. 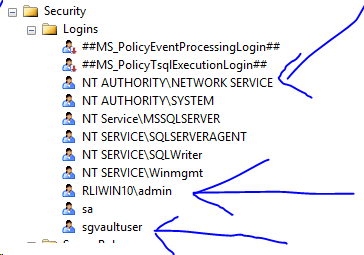 Note I had troubles installing VaultServer 3.5.3, when using sql authentication, i got a Error Code = –1001 and also an Error Code = –1280, this was resolved by using windows authentication for this installation. Note: this takes a while on Windows 2003 server. The following steps were executed on an empty Microsoft Windows 10 (64 bit) Hyper-V virtual machine. Verify we have a working Vault Standard v9.0.0 installation. Install Git https://git-scm.com/downloads in my case it was v2.6.4 Git for Windows. During installation make sure, you choose: “Run Git and included Unix tools from the Windows Command Prompt”. 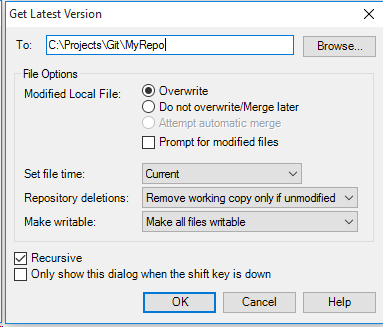 Create a GIT repository inside “C:\Projects\Git\MyRepo” by executing: git init. Commit one file (e.g. an .ignore file) to the MyRepo master with a initial commit. 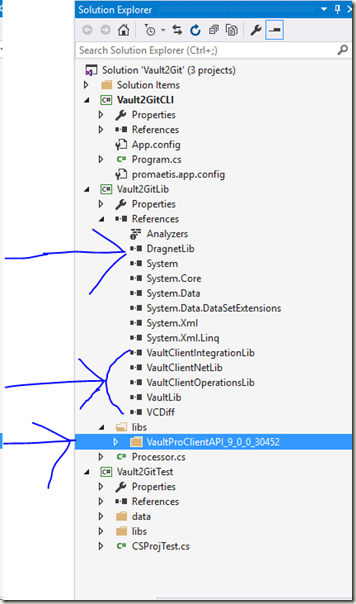 Extract the zip file and open the solution with Visual Studio 2015 community edition. Build the solution in release modus. The servername, because I am running the vault2git tool on the vault server this is localhost. The vault user name used to login to the SourceGear Vault. The vault user password used to login to the SourceGear Vault. This is the part that will be added to each Vault username to create a Git user email from a Vault username. This folder must be the Git repository root folder. This folder should contain a “.git” folder, before the vault2git is run. 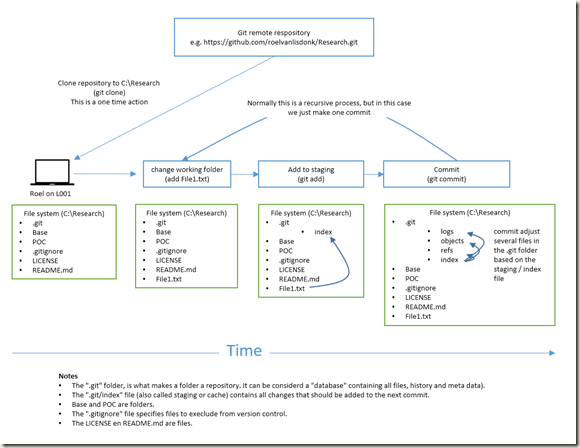 The path to the git.exe to use. At first this is a “;” seperated list of conversions. Each conversion is a “~” seperated key value pair. 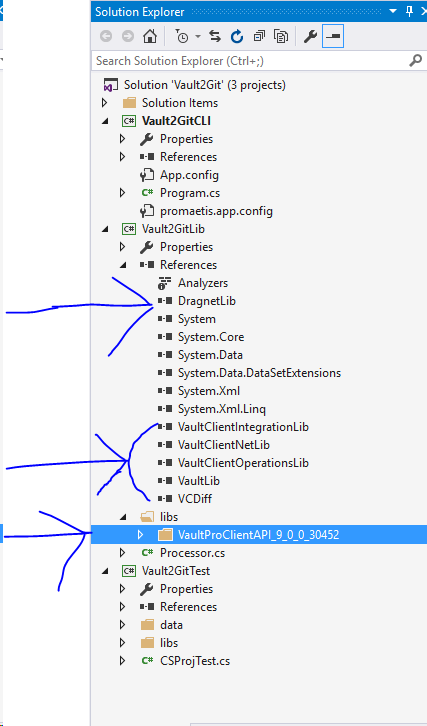 The first part of the conversion is the path in the Vault (in this case the root of the vault “$”). In this case only one conversion is done, namely converting all the files from a Vault respository to a Git repository branch called master. note that this takes a long time. In my case 7MB of Vault Source files took 23 minutes to convert!! 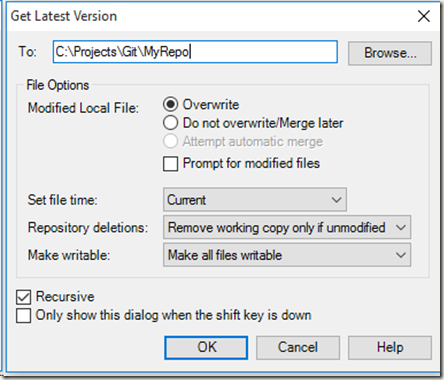 Now that we have a locale Git repository containing all Vault Sources and history, we can push this Git respository to a remote Git respository (in our case a Bitbucket service). Create a Git repository in bitbucket. In my case, something went wrong and I had to rollback from 4.0.6 to 3.1.9. If you have to restore a old database, make sure you first remove all sofware. Create a new sgvault database. Restore the backup to this new sgvault database. Fix: Microsoft Outlook 2016 won’t start, hangs on splash screen. Today I noticed Micrososft Outlook 2016 would not start and only showed the splashscreen. Starting Microsoft Outlook 2016 in safe mode fixed my problem. Just go to the start screen and CTRL + click on the Outlook 2016 icon, it should present you a question, “if you want to start outlook in safe mode”. A group of Microsoft volunteers, have open sourced, the formaly know “Microsoft Windows Live Writer” blog item editor. I have used Windows Live Writer for all my blog entries and now upgraded to the Open Liver Writer. Open Live Writer installs VERY quickly and updates itself automatically, so give it a spin!